Insurance, seven others for promotion to NPFL – Royal Times of Nigeria. 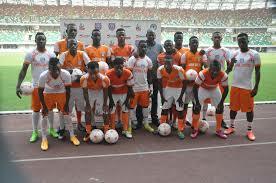 After a decade in the lower divisions of the country’s football league, Bendel Insurance have been listed among the eight teams considered for promotion to the elite Nigeria Professional Football League.That was one of the major decisions taken at the end of the Nigeria National League Annual General Meeting held in Abuja at the weekend. However, this recommendation is expected to be communicated to the League Management Company today ahead of the stakeholders meeting scheduled for later in the week, where the decision is expected to be ratified. 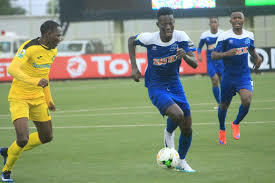 The eight teams that qualified from the four zones are Bendel Insurance and their arch-rivals, 3SC of Ibadan, Remo Stars, Delta Force ,Kogi United, Gombe United, Real Stars and Kada FC of Kaduna. At the end of the meeting, the highest decision organ of the NNL agreed that all the eight teams that qualified for the Super 8 be given automatic promotion to the elite league division. It was the consensus of the executive body of the NNL to cancel the controversial Super 8 hitherto agreed at the beginning of the league season, apparently, due to time constrain.The 2018/2019 League Season is therefore expected to kick off on the first of December.